Snail Cream with Aloe Vera extract from Fuji is a combination of snail mucin extract with aloe vera. It helps hydrate, soothe, comfort and calm your skin while manage redness and blemish. Salicylic Acid is instantly healing blemish-busting and correcting post pimple darkening. Vitamin B3 helps your skin glow naturally. This cream also has so many important substances such as Allantoin, Natural Anti-Biotics, Glycolic Acid, Elastin, Vitamins and Protean which rescue and renew even the most irritated skin. Can you give me just 10 minutes? 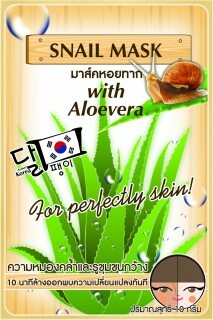 With Snail Mask with Aloe Vera It is not too long to ask for. This 10 minutes with suddenly even your skin tone color for sure. 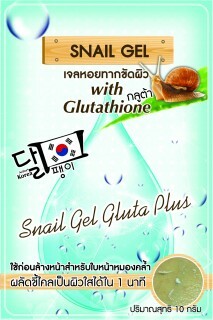 Skin nutrition in snail extract reduces dark spot and redness. Aloe Vera extract soothes and hydrates your skin. AHA from Averrhoa Carambola extract exfoliates your skin. The mask fades discoloration and dark spots that linger after breakouts have healed and minimizes future breakouts while a powerful skin lightening agent, hydroquinone, diminishes post-acne spots. 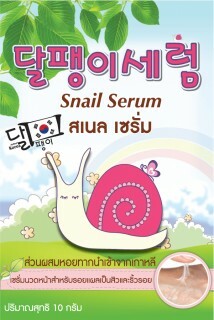 Miracle Real Snail Serum Forget the old serums which just coat your skin without doing anything better. Let your skin rest with us, with Snail Serum. Our serum helps fight many of your skin problems, including wrinkle. It also helps get rid of acne scares gradually. Just spend a minute to massage your face with this serum day and night, before your regular skincare products. Expand the protection with Snail Foam Cleanser Our Cleanser restores clarity, washes away makeup, residue, and excess oil. You definitely have never felt this good before! 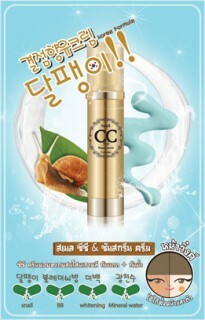 Just forget your BB cream and have a new beginning with CC BB Snail from Fuji. 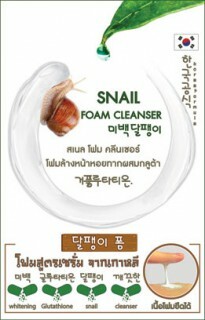 With the combination of mineral water and snail mucin, your skin will be smooth and soft while getting the protection. It is nourishing and preventing you from sunlight with water proof solution. Nourish for smooth as silk skin! With Bee venom cream moisturizer With gold mixture, it helps your skin glow and shine like a girl. 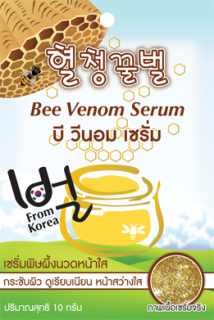 It gently stimulates your skin which is fooled that you have been sting by bee. Blood and collagen is pumped to the stimulated area. It makes your skin glowed and elastic. 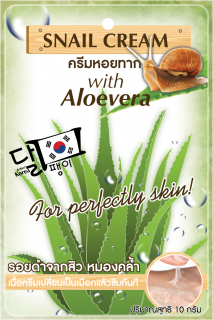 Aloe Vera extract also soothes your skin. Vitamin B3 helps reduce dark spots. Finally, biologically extract of ferment soybean called B9 Vitapol is a good source of moisturizer. It gives you a full system of botox without spending many thousands baht. 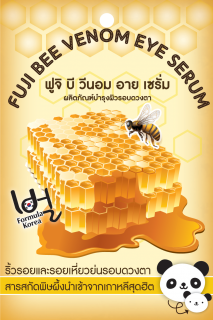 Wake your tired skin up with Bee Venom Serum. Massage daily, morning and afternoon, and relax with the real honey aroma. The serum will brighten and minimize fine lines, leaving skin healthy and protected. This lightweight serum quickly absorbs into skin while the iconic honey scent pampers your skin and your senses. Feel your glow skin as you have never felt before. Prepare for Good Morning with Bee Venom Sleeping Mask before you go to bed. Don’t wash it off. The mask will immediately reveal softer, firmer, healthier-looking skin. People will keep asking what you did last night. Eye serum to reduce and wrinkle skin around your eyes. Reveal softer and firming eyes and whitening.